Mother of two Sophie Umhofer had her world rocked after she was diagnosed with stage four colon cancer. After finding that the cancer had spread to her liver and lymph nodes, Sophie’s oncologist said she would have just two to three years to live if she underwent intensive chemotherapy. Her family are now raising funds for immunotherapy treatment which could prolong her life, and Sophie’s husband Michael is leading the charge towards a £150,000 fundraising goal. The treatment was the research subject of the 2018 Nobel Prize in medicine but is currently unlicensed by the NHS, meaning the family must look further afield to the USA and Germany. Sophie was a regular fixture at the Curves gym in Kenilworth until her diagnosis, and staff at the gym are hosting events throughout October to support the Umhofer family in their fundraising efforts. Curves Kenilworth have already got their efforts underway after hosting a charity coffee morning on Tuesday October 9. 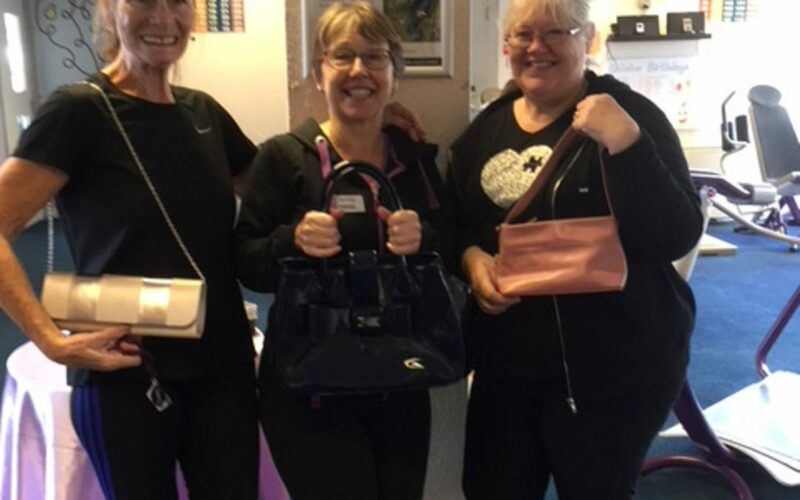 Their next event will be a handbag exchange on Monday October 15. Denise Knight, owner of Curves Kenilworth at Talisman Shopping Centre, said she was devastated by the news and vowed to do what she could to help out. A variety of prizes will also be on offer at the Curves raffle. Tickets can be obtained from Curves Kenilworth, with the winner being drawn on Tuesday, October 23. Denise added: “We’re going to be hosting several events for our members this month and we’re hoping we can raise more than £1,000. We’re off to a great start already, with £500 being raised through early raffle ticket sales and our coffee morning. Other raffle prizes donated by local businesses include a £50 Sylvesters the Jewellers voucher and a pair of Skechers from Charles Ager. Hugo Hawkings, chief executive of Talisman developers Discovery Properties, said: “It’s great to see the staff at Curve getting behind such a fantastic cause, and I wish them all best wishes in raising as much as possible. All of the funds raised will go towards the treatment and enabling Michael to take time off work to support Sophie and their children, and almost £8,000 has already been raised in the space of a month.